The rapid shift toward connected devices and the internet of things has impacted the occupational norms of nearly every industry, a trend which shows no signs of slowing down anytime soon. In fact, The World Economic Forum's 2018 Future of Jobs Report found that the global labor market is experiencing a major upheaval as the lines between human jobs and automated machine tasks become less pronounced, leaving many job seekers unprepared for the future of work. As technological breakthroughs continue to reshape professional environments and workflows, educators have grown increasingly concerned about the waning relevance of traditional teaching methods, particularly in preschool and K-12 classrooms. In response, teachers across the U.S. have ramped up their advocacy for e-learning tools and tech-focused initiatives, arguing that these resources are essential to prepare students for the employment requirements they will encounter post-graduation. A 2013 national survey from PBS LearningMedia found that 74% of primary and secondary school educators believe that technology is key to expanding the learning objectives of their curriculum and the content they use in the classroom. The same percentage responded that technology has been an important motivational tool for their students, with 73% stating that it has helped them effectively accommodate different learning styles. 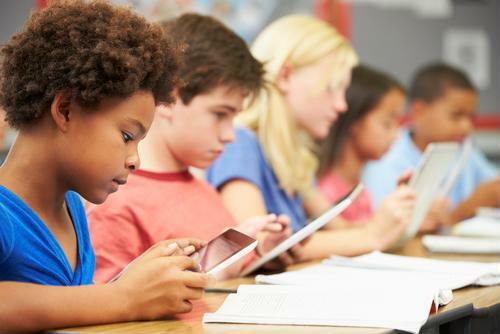 The survey also found that more than one-third of educators in the public school system use a tablet or e-reader in their classroom, representing a 20% increase from 2012. In the years since PBS's survey results were released, EdTech has become a staple in many public schools across the U.S. - 73% of teachers report that their students use tablets or laptops in class on a daily basis, according to a 2018 study from MidAmerica Nazarene University. With e-learning becoming a common practice in the American school system, educators have begun looking for new opportunities to integrate emerging technologies into their lesson plans. While mobile devices have a lot to offer, there are a variety of innovative IoT-based tools that have started making their way into the classroom. Technology is quickly replacing traditional learning tools in classrooms. Venture investments in EdTech companies has risen steadily over the past decade, with a total of $1.45 billion raised in 2018 alone, EdSurge reported. Of this total, $511 million went to U.S. EdTech companies that specifically support K-12 students and educators. Increased funding for EdTech companies has created new possibilities for classroom innovation. To get an idea for what's on the horizon, let's take a look at some of the technologies being deployed in modern education environments. 1. Interactive whiteboards: Interactive whiteboards have been the most popular EdTech tool since the mid-90s, as they have helped educators streamline in-class assignments without disrupting the cadence of their teaching strategies. Recent advancements in embedded devices and wireless connectivity have significantly extended the capabilities of interactive whiteboards, giving educators an opportunity to incorporate audio- and video-based materials without the need for additional hardware tools. Modern interactive whiteboards allow teachers to present multimedia lessons, showcase student projects and presentations, and facilitate collaborative problem solving activities. 2. Learning management systems: As laptops and tablets make their way into the classroom, educators have started relying on monitoring software to keep their students on task. 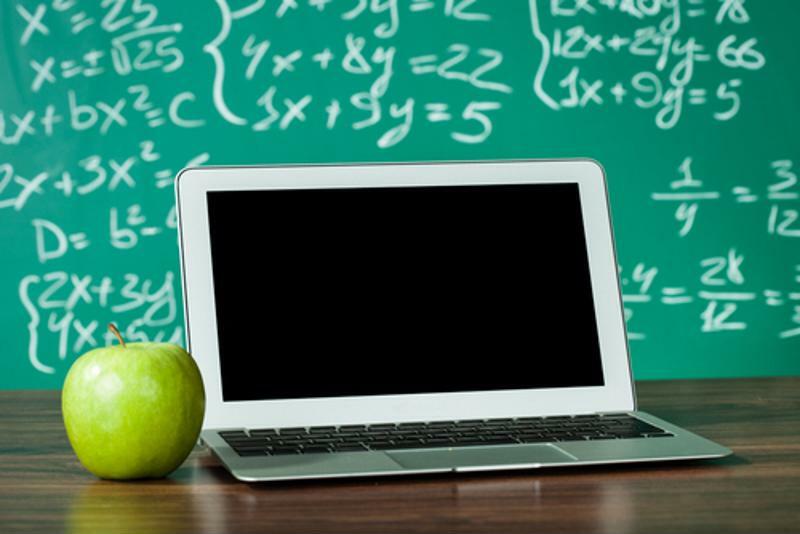 Learning management systems help teachers administer, track and document how their EdTech devices are used in real-time. The more advanced applications also feature data tracking and reporting features that can identify learning gaps and support asynchronous lesson plans. 3. Augmented reality: Although they are less prevalent than other EdTech tools, augmented reality technologies are slowly growing in popularity among educators. AR can improve engagement and support visual learners by incorporating animated content and 3D models into classroom assignments. This can help teachers make topics in science more approachable, while also stimulating their students' curiosity with technology. 4. Automated attendance tracking systems: Growing concerns over school safety have given rise to mandatory student IDs, though the practice has not yet reached a fever pitch. However, some school districts have been experimenting with RFID-embedded IDs as far back as 2013, according to an article from Scholastic. Recent advances in wearable IoT and cloud computing, if implemented, could revolutionize how faculty members track the attendance and on-campus location of their students. As EdTech continues to transform the modern educational landscape, the public school system will increasingly depend on the operational efficiency and health of its core network. Educators who deploy e-learning technologies may face significant disruptions during unplanned downtime and system outages, which can prevent them from delivering their planned lessons and in-class assignments. Perle offers high performance connectivity hardware that can help IT administrators keep their network online and uninterrupted. Read some of our customer stories to find out how we've supported other educational institutions with their tech-based initiatives.